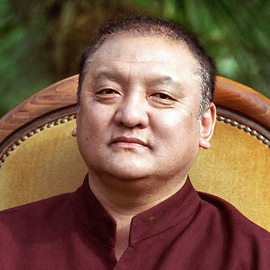 Bodhi Path is an international organization of Buddhist centers founded and directed by the late 14th Shamar Rinpoche, who, along with the Gyalwa Karmapa, was a holder of the Karma Kagyu lineage. The Bodhi Path centers offer an open and non-sectarian access to Buddhism. Under the spiritual authority of the Karmapa and Shamarpa, Bodhi Path teachers provide instruction in meditation and philosophy, and guidance to learn and practice Buddhism. The Bodhi Path curriculum is based on the teachings of Mind Training (Tibetan: Lojong), a profound system of contemplative practices that helps bring mindfulness, awareness and insight to our experiences, both on and off the meditation cushion. The foundation of Mind Training is calm-abiding meditation (Tibetan: shiné, Sanskrit: shamatha) which helps to develop mental peace, stability, and focus. With a calm mind comes the ability to practice insight meditation (Tibetan: lhaktong, Sanskrit: vipasyana), which involves analysis of mind’s true nature. Bodhi Path Kuopio is a small but growing meditation group. Weekly group meditations are held in the centre of Kuopio every Wednesday, at Aurinkosydän -salon (Puijonkatu 12) 18.00-19.00. Suggested donation 2€. Weekly group meditations every thursday at 19:00, except every month´s second week on mondays. Doors will open at 18:30.